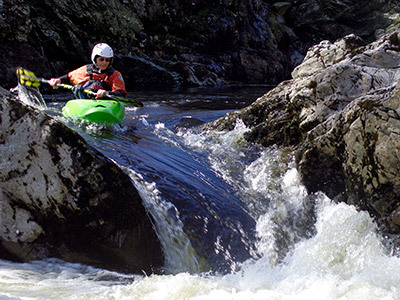 River Running is the clubs main area of interest. River running involves negotiating your way down a river through or around obstacles such as weirs, holes, waves, waterfalls, and stoppers. Rivers are graded from 1 (easy, flat) to 6 (Virtually Impossible) depending upon their difficulty. River Running is an individual branch of the sport in that it requires your own skill to successfully navigate your way downstream. However, good teamwork is also essential to provide safety cover and to scout unknown areas. The club has a weir and area of moving water just downstream from the clubhouse where we can safely introduce beginners onto the moving water. The Leeds Panthers are Leeds Canoe Club polo squad and have in the past had successful teams in both national and regional leagues. Polo is a fast moving game and ability to roll, although not essential, is an advantage. Polo is played generally in swimming pools, on similar lines to 5 aside football. Polo is an excellent game for building up a paddlers overall skill and technique particularly good at maintaining fitness levels during the winter months in which the polo season exists. The rules and tactics of the game are fully explained during training and our Polo Rep is always on the look out for new players of all abilities so why not give it a try? For experienced paddlers who seek the ultimate in safe but dynamic paddling the play boating calendar offers the ultimate rodeo challenge. Points are scored by performing various manoeuvres such as aerial blunts, cartwheels and loops etc. 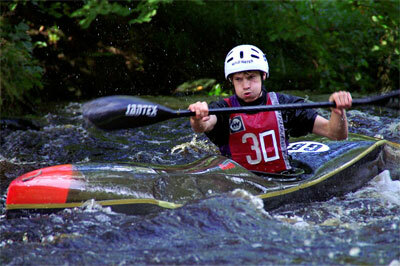 Our paddlers within the club branch out to compete in several events around the country. Indeed we have several successful paddlers at non-professional level. 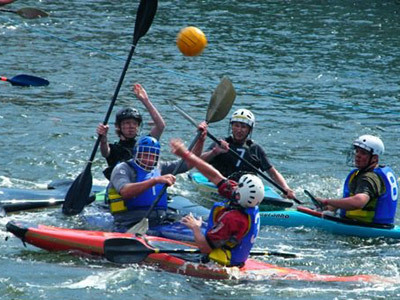 Play boats are generally used to, coin a phrase "park and play" whilst participating in river trips and incorporating man made courses ie. 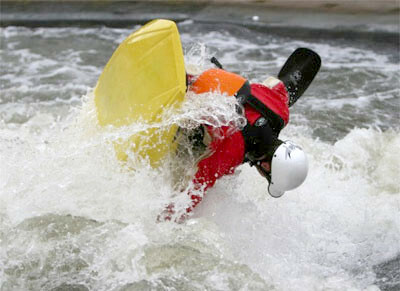 The National White Water Stadium at Nottingham and various other courses around the country. 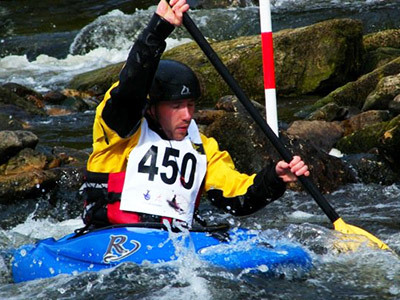 Currently Leeds Canoe Club hosts part of the GBR section team event at the Washburn. Speak to our representative for more details. The club is particularly keen to encourage new members with experience to further develop activities in these areas.